Our face products have been purpose built for men and designed for everyday use. From normal, to sensitive, to oil prone, to mature skin our products work simply and effectively to deal with the needs of men’s skin. The daily demands of an active lifestyle can be tough to juggle. With a line of body products, specifically designed for men, we can at least help with keeping you looking cool and collected under the toughest conditions. We have designed a line of shave prep products that allow each individual to select a product suitable for their own stubble and preference. 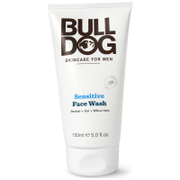 Men, whether you have regular, sensitive, oily or dry skin, Bulldog has the answer. All our products are purpose built with male skin as their focus, designed to help men look and feel their best. 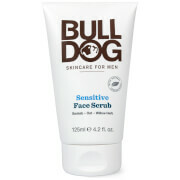 When it comes to taking care of your skin, Bulldog is man’s best friend. Bulldog skincare is an award-winning range, purpose-built with the needs of the male complexion in mind. A straightforward approach to formulating products that work provides Bulldog with the cutting edge when it comes to delivering superb skincare performance. 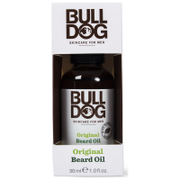 Free from Parabens, Sodium Laureth Sulfate, artificial colours, synthetic fragrances or ingredients from animal sources in any of their products, Bulldog really is a man’s best friend.